The authorities in Ha Long City, Quang Ninh Province, have summoned 15 boat owners who are suspected of co-operating with traders to tail and overcharge tourists. Vendor boats are banned from approaching tour boats to sell products after many tourists reported that they were overcharged for fake goods. Le Trong Viet, head of the inspection team under Ha Long Management Board, said they had laid in wait for days in order to witness examples of the harassment. In late October, they recorded many vendor boats approach tour boats to sell goods to Chinese tourists. 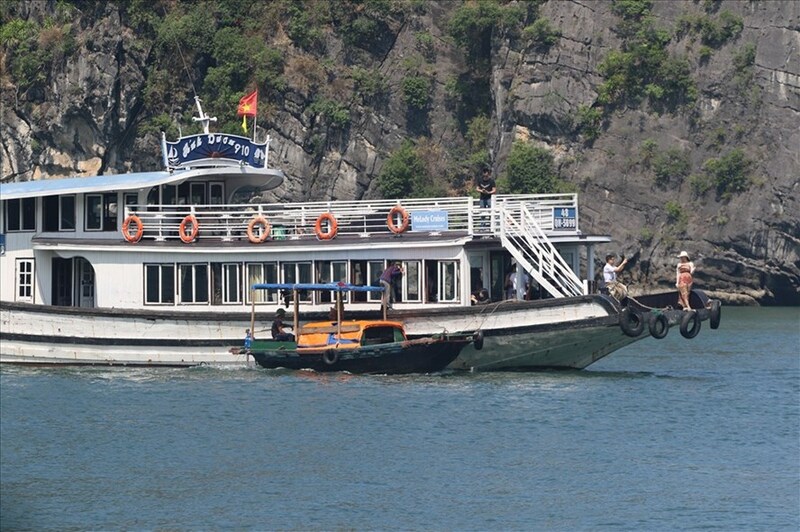 Ho Quang Huy, vice chairman of Ha Long City, said they had summoned the tour boat owners. According to Huy, the owners, as well as the crew, will be punished and the boats will be suspended from operations. However, a tour boat owner said they couldn't fend off the traders. "We tried to chase them away but we were afraid that they would resort to violence since many of our crew had been beaten." Pham Dinh Huynh, vice head of Ha Long Management Board, said vendor boats harassing tourists had been a problem for years and the authorities tried to deal with it several times. Since last year, they had seized and destroyed 80 vendors boats, but the problem persists. The vendor boats also co-operate with tour boat owners, tour guides or the tour boat captains to overcharge tourists. "It's impossible to completely ban the vendors. They mostly operate in the area between Hai Phong and Quang Ninh provinces so that they can run to Hai Phong as soon as they see the authorities. They can afford another boat immediately if one is seized," Huynh said.